A grief-stricken mother has urged teenagers not to ‘experiment’ with drugs off the dark web after the death of her 17-year-old son. 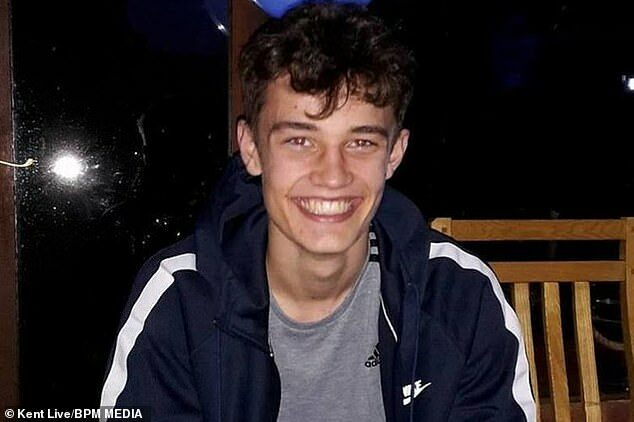 William Horley, 17, was found dead at friend Henry Forsyth’s house in Whitstable, Kent, after taking what he believed was painkiller Tramadol and anxiety medication Xanax. An inquest in Canterbury heard the drugs were bought for £60 from a seller who got them from the dark web and the pair had taken them while working at the Lobster Shack restaurant in Whitstable, before going out for drinks. The following morning, neither Mr Forsyth, 21, or his sister Georgia were able to wake him, even after attempting CPR, and he later died in hospital in Margate. Mr Forsyth said that they had taken the drugs to ‘make the day go quicker’ at work due to the busy Whitstable Oyster Festival. 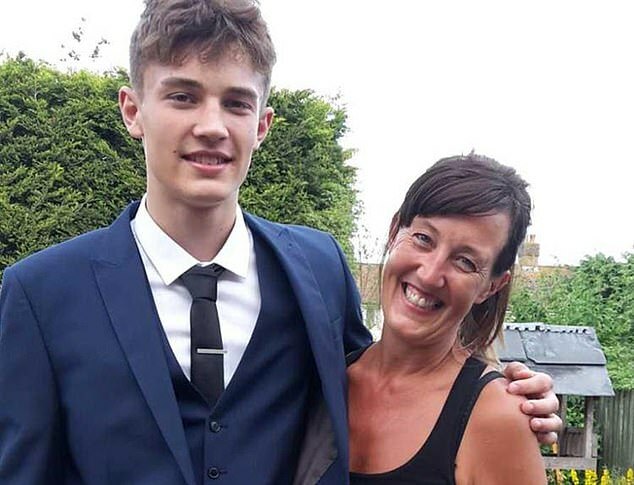 Mother Kim Webster, of Herne Bay, Kent, said her son died after one ‘terrible mistake’ and pledged to go into his former school to teach children about the dangers of drug use. Mrs Webster said the pair had a very close relationship, that he told her all about his life and that it would never have occurred to him to take his own life. She said: ‘He had too much going for him. He was ambitious. He knew what he wanted. Mrs Webster spoke of her plans to hold sessions with youngsters at Herne Bay High in a bid to teach them the dangers of drug use. She added: ‘Just because Tramadol is a prescribed drug doesn’t it mean it’s safe for anyone to take. ‘William had his whole life ahead of him. I think it was just an experiment over the summer for him before going into the army. ‘To other young people, I would say just think, take that time to think about it. ‘They’re taking that chance. William was a happy boy, he took that chance and paid the price. A charity has been set up in William’s name at the City Boxing Amateur Boxing Club in Canterbury that will allow underprivileged young people who lack the funds to pursue the sport to take part in it. A post-mortem examination found the cause of death as a tramadol overdose as well as pneumonia, which may have been exacerbated by the drug preventing him from breaching. Mr Forsyth said to his knowledge William had never taken the drug before but added he knew he had previously smoked cannabis. Georgia, a hearing aid audiologist, said that Will was making a snoring noise before he stopped breathing. She said: ‘We waited a bit to see if he woke up but didn’t know what else to do. DS Martin William of Kent Police told the inquest that he believes the tablets may have been purchased from the Netherlands on the dark web. The dark web is defined as a part of the internet that can only be reached with certain software, and leaving its users untraceable and anonymous. Police are currently investigating a teenager who could have supplied the drugs. William had been a keen sportsman and played rugby since he was four, boxed for Canterbury and took part in kick-boxing and MMA. He was about to fulfill his boyhood dream of joining the army, coming seventh out of 41 applicants in his assessment. At the time of his death he had arranged to meet with a model agency having been noticed by a scout while on holiday with his father. The coroner Ian Goldup recorded a narrative verdict of drug-related death.